UND President Mark Kennedy and the University Executive Council released a joint statement today about a budgetary process that will impact all areas of campus—from administration to athletics to staff to academic units. It reflects current financial realities facing UND as a result of substantially lower state funding. UND archival photo. In a joint statement (see below) with his Executive Council, UND President Mark Kennedy today lays out a concrete vision and a process with timelines, on how the University intends to address budget cuts at the same time it invests in strategic areas to promote future growth. The process will impact all areas of campus—from administration to athletics to staff to academic units. It reflects current financial realities facing UND as a result of substantially lower state funding. In the days and weeks ahead, the University will use UND Today to provide clear and expeditious information about the budget, plans for new investments and impacts on students, staff and faculty. All budget-related communications will be consolidated in one place at a new “Budget” tab located on the main UND Today Webpage. Check back with UND Today every Tuesday and Thursday for new and in-depth information about the process moving forward. Also, the University has set up a designated email address at UND.budget@UND.edu , which the campus community can use to submit budget-related questions. This input will be used to guide future UND Today article topic selection and other communications. In the days and weeks ahead, the University will use UND Today to provide clear and expeditious information about the budget, plans for new investments and impacts on students, staff and faculty. UND archival photo. UND faces rocky waters in the weeks ahead. With Governor Doug Burgum proposing to decrease our state funding by 20%, there is no doubt that we face serious cuts. This is not an effort we chose to undertake. It is one that outside forces necessitate us to commence. 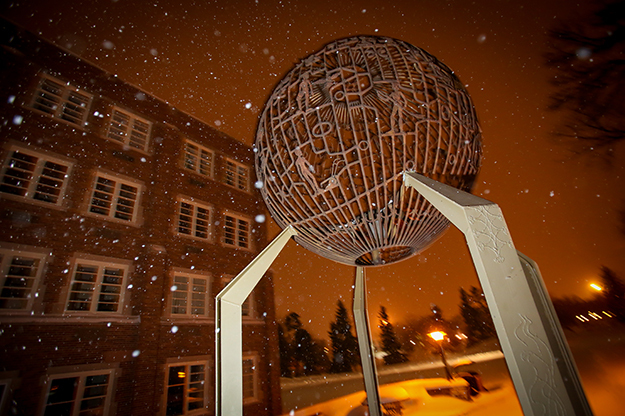 In its history, UND has faced many other foundation-shaking conditions and gone on to not only survive, but also thrive. That must be our goal. We are regularly engaging with our legislators on making the case for UND as a key driver in diversifying our economy beyond oil and soil and as a source of the talent the economy needs to grow. While we will continue to make this case, it would be imprudent for the university to not prepare to make the necessary adjustments. In addition to the approximately $16 million a year that will need to be cut in order to accommodate the anticipated decrease in state funding and tuition revenue, we also need to provide an estimated $7 million for investments in strategic priorities. On average, this will require a 14% reduction in appropriated budget levels. A reduction of this magnitude will require all segments of the university community participating and will necessitate us to both accomplish our responsibilities more efficiently and to do less, by prioritizing our programs. 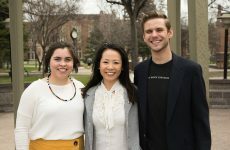 At this point, our One UND strategic planning process has identified the need for an increased investment in marketing, scholarships, enhancing graduation rates, research, students’ acquisition of critical competencies during their tenure at UND, and a survey of the campus climate relative to diversity. The Chancellor’s NexusND initiative has further called for investments that increase our research capacity by investing in High Performance Computing and launching an Unmanned Institute. Continuing to press forward with these investments is essential if we are to emerge from this effort poised for a brighter future. Adding further pressure on funding sources is the process of addressing over $500 million in deferred maintenance, which impacts the University’s ability to recruit the best students, faculty, and staff. 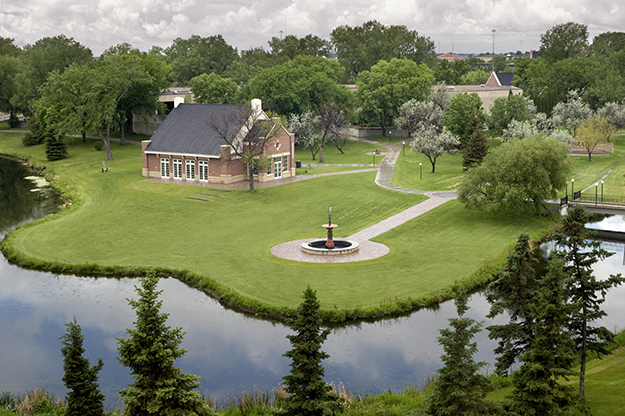 For our graduates, the quality of the campus impacts the perceived value of the number one brand on their resume – UND. That is why it will be vital that efforts to chip away at deferred maintenance like the Coulee to Columbia Revitalization Initiative proceed. 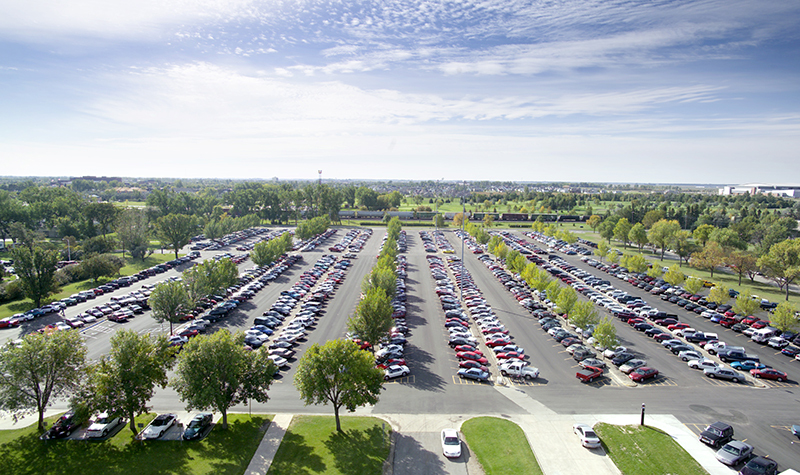 We continue to look at multiple strategies that include taking buildings offline. It is unrealistic to think that alumni donations for capital projects could be redirected to increase operating funds. Our intent is to have all budgetary adjustments in place or completed by the adjournment of the current North Dakota Legislative session. However, in the meantime, there may be need to address additional preliminary milestones as we move toward a conclusion. As we implement the actions below, we will explore structural realignments that improve our ability to be more effective and/or efficient. On February 10, Athletics will be given a target budget savings goal and will asked to submit a budget reflecting these goals by March 15. At that time, they will report on efforts to explore revenue sources recommended by the Intercollegiate Athletic Committee. While actions have been taken to increase ticket prices and donor contributions, other recommendations would have unrealistically required third parties to reopen established contracts, and therefore have not materialized. The recent conference realignments will undoubtedly result in added revenues and lower expense in the future as we unite with closer regional rivals. Nevertheless, it is likely that we regrettably will need to consider again the number of sports we sponsor if we are to support competitive efforts of the remaining teams. By February 10, we will be launching a number of efforts to explore centralization and/or shared services of staff functions (e.g. finance, payroll and human resources, marketing, advising, IT, administrative/clerical, alumni relations/events). While many such staff will remain embedded in the colleges or Divisions, they will report centrally with a dotted line to a dean or appropriate administrator. In addition to offering the possibility of improving efficiencies, centralization can provide better career tracks and targeted staff training opportunities. It will also help ensure that we are truly One UND in executing our strategic priorities. By February 10, we will be providing each college their budget reduction target. In that all of our colleges have vibrant programs that offer our students exciting futures and our state and region needed talent, these reductions necessarily will require hard decisions that we might otherwise not make. The target for each college will be based on strategic priorities, the need to ensure those colleges with strong recent growth have the resources to offer quality instruction in areas of high demand, and an analysis of each department’s proficiency in generating opportunity for our state and graduates by delivering learning and discovery. Included in the target setting will be a close scrutiny of those programs offering undergraduate courses with less than 12 enrollees and graduate courses with less than 8. While the dean has the discretion to approve such courses and some programs of study necessitate having multiple courses that approximate these levels, it is unfair to make the above demands on other areas of the university without seeking such minimum standards. We will also be providing information on low enrollment majors and degrees to deans and chairs to assess the viability of such programs. The key decision maker on reducing faculty positions will be the dean. While we encourage the deans to seek wide input on these difficult decisions, it is unrealistic to expect that decisions will not be accompanied by dissension by some within the college. We are open to considering productive alternative applications of the skills of tenured faculty whose program may be eliminated and will be resistant to efforts to reduce the amount due to any tenured faculty terminated. As a flagship research university, we recognize a defense of our tenure protections is necessary for retaining and recruiting quality faculty. Uncertainty often exaggerates the stress these challenges cause. We are seeking to mitigate this uncertainty by being clear about the process and moving forward expeditiously to reach required conclusions. UND Today, the semiweekly campus news source, will continue to supplement communications regarding budget considerations with analysis of specific topics. Budget-related communications will be consolidated at a link on the UND Today homepage. To ensure that we are gaining the input of the campus community, we will be regular attendees at University, Staff and Students Senates and the provost will be meeting regularly with the University Senate’s Budget Committee. 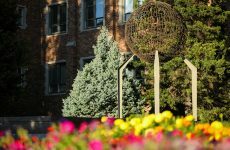 Please identify topics you would like further addressed to UND.budget@UND.edu to help guide what further topics we cover in UND Today and other communications channels. Sadly, the weeks ahead will undoubtedly require us to part company with good people that have given dedicated service to UND. Given the legislative mandates that await us, it is impossible for us to sidestep this pain. We must set ourselves to the task to do so in a manner that reduces the level of and duration of uncertainty as we keep a keen eye on how UND best positions itself to continue as the premier flagship in the northern plains.